Midnight Mansion Forums - Midnight Mansion 3 - your opinion wanted! 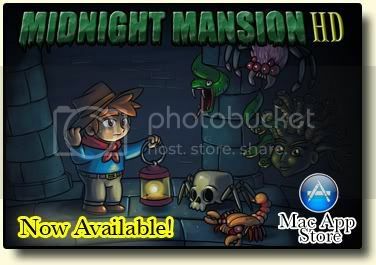 Midnight Mansion Forums › Midnight Mansion 2: The Haunted Hills (Mac only) › Game Improvements › Midnight Mansion 3 - your opinion wanted! Re: Midnight Mansion 3 - your opinion wanted! I have heard that there is a cheating way to add extra lives but I don't know how. If I remember correctly, you pause the game and type "extralife" (without the quotation marks). Or something like that. I also heard that doing so meant that you may not be able to submit your ranking for that session online... But this is just an old wives tale... Right? The final window will say that you used cheats.